All accused in killing of the Member of Parliament for Jaffna district Nadarajah Ravi Raj have been freed and released after an unanimous decision of the special jury. The reason has been that there had been no evidence to prove the plaintiff's accusations. About ten years ago the member of parliament for the Tamil National Alliance, Nadarajah Ravi Raj and his security personnel were killed by shooting at a by road in Narahenpita on the 10th November 2006. 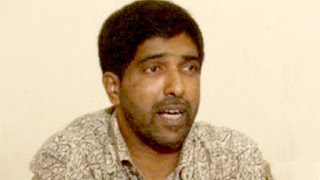 After the indictment papers were handed over against the seven suspects the Attorney General had appointed Wijewickrema Manamperige Prithiviraj as the state council.The case had been heard in the Magistrate courts in front of a special jury uninterrupted from the 22nd November until the date of judgement the 23rd instant. The caes had been heard that according tothe indictments there had been sufficient evidence to convict them.Hence the hearing had continued uninterrupted. On the 23rd instant the evidence examinations had been completed in front of the special jury. The unanimous decision of the Jury to conclude the case by freeing the suspects was as were no conclusive evidence against the suspects.The Magistrate Manilal Waidyatilleke had given the verdict at mid night.This was the latest time that a judgement ina case had been delivered. There had been a case in Badulla a few years ago when the verdict had been delivered around 10 pm which is reported.